I have a vivid memory of my early teens; it is one of me about 11 years old, looking at a wooden plaque on the wall reading “Mieux vaut une hutte on l’on rit, qu’un chateau on l’on pleure” (French to English translation: It’s better to live in a hut where people laugh than a castle where people cry). Why do I remember it so vividly? Because rather than reading it and thinking “Well, yeah that makes sense “, I actually stood there for about 5 minutes trying to understand the message in between the lines. I replaced the metaphor of the “hut” and “castle” with real life situations. Little did I know that I was teaching myself one of the most important lessons in Management. So why wouldn’t EVERY business be investing heaven and earth on this? Because quite frankly many companies are ran by idiots. I therefore find it refreshing and I’m quite happy that Marissa Mayer, Yahoo’s new CEO, is proving not to be one them. I have never worked for Yahoo nor am I one of their stockholders. Come to think of it, I can’t remember the last time I went on Yahoo’s website. 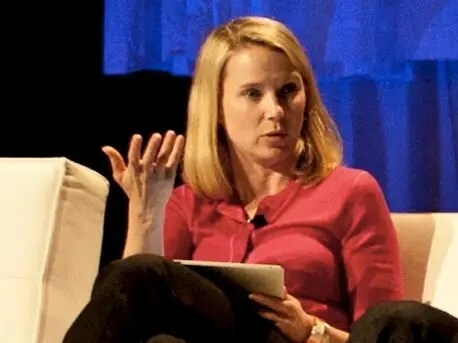 What’s prompted me to write this post is that since Marissa Mayer joined Yahoo, there’ve been articles after articles on the different steps she’s taken as CEO – and nearly every single one of them has been to revive and redefine Yahoo’s image not vis-a-vis of shareholders but of the employees. Mrs. Mayer is addressing and tackling Yahoo’s biggest problem – employee motivation. Many of her actions might seem trivial, such as her plan to give Yahoo employees an iPhone 5 but I think goes a very long way. The main question is: Will it work or is it too late? Only time will tell but there’s no doubt she’s in the right direction. Jim Goodnight, the CEO of North Carolina based SAS Institute – the world’s leading business analytics software vendor, is another great example of a leader who understands the value of Corporate Culture. A couple of years ago I watched a 60 minute episode featuring SAS where Mr. Goodnight was shown standing at the gate of the company’s headquarters at the end of the day waiving his employees goodbye. When asked why he did that, Mr. Goodnight confidently replied, “95% of my assets drive out the front gate every evening and it’s my job to bring them back.” What is equally as impressive is that SAS is a multibillion dollar organization but still privately owned and Mr. Goodnight has expressed no interest in taking his company public, despite multiple pleas from Wall Street to which he said, “it’s pressure from Wall Street to please shareholders by delivering rising quarterly earnings that has poisoned the corporate well” – and he couldn’t be more right! My plea to all of you, future managers and CEOs, is not to underestimate the power of corporate culture and refuse to settle for mediocrity in your management approach. It is possible to create a strong and positive corporate culture within your organizations and be successful. Your employees are your most important assets and it’s your job to bring them back. There’s nothing wrong treating your people good.